Anitha Thillaisundaram has been selected to display her poster at the House of Commons on Wednesday 13th March in the Mathematical Sciences Session of “STEM for BRITAIN 2019” competition. 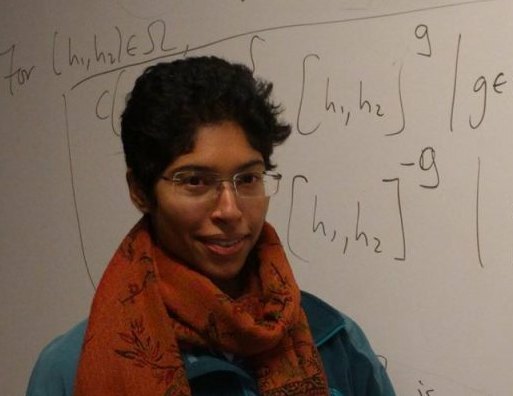 Anitha’s poster represents her recent results (obtained jointly with Dr Benjamen Klopsch (Düsseldorf)) on Hausdorff dimension for profinite groups, an exciting modern area of studies, where synergy of methods from topology and group theory produce cutting-edge research in theoretical mathematics. Congratulations! This entry was posted on February 7, 2019 by Evgeny Khukhro in awards, Conferences, prizes, research, Talks and visits.